Imagine an apothecary of old, dusty amber bottles, endless wooden shelves, and jars filled with herbs and powders of every color and kind. long before pharmaceutical pills and the bright lights of convenience stores, people traveled far and wide to visit apothecaries for their medicines. Although dispensers of this sort are much harder to come by today, the ability to buy and make your own plant-based medicine is still very much available. Human beings have been practicing herbal medicine since the beginning of time and, for many cultures, alcohol was a central component. Cordials, meads, and elixirs all come from the same tradition of capitalizing upon the unique properties of alcohol to withdraw and preserve the most active medicinal constituents of a plant. Although the widespread use of after-dinner digestives has fallen by the wayside in favor of medicinal drinking of a different kind (all night martini toasting), there is one form of alcohol-based medicine that is just as potent as ever— tinctures. 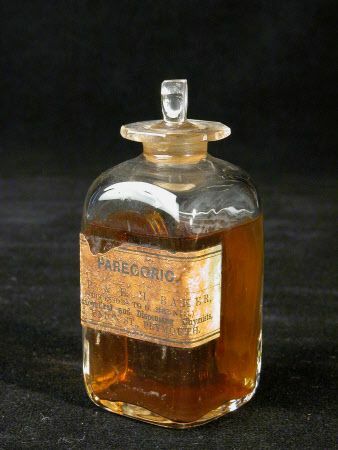 No one knows quite when or where tinctures first originated, but there is evidence of alcohol extractions being used as far back as ancient Egypt. Although traditionally associated with Western herbal medicine, tinctures have been incorporated into many herbal traditions worldwide, including Ayurveda and TCM (Traditional Chinese Medicine). As pure alcohol-based extractions, tinctures are convenient, durable, and pack a serious punch. Siphoned into small dropper bottles, this powerful medicine can travel with you anywhere. Keep a couple tinctures in your purse and add a few drops to a cup of water the moment you start feeling iffy. As long as the bottle doesn’t run out, you can keep your tinctures indefinitely. Tinctures are so durable they can last for decades, centuries even. In comparison to capsules or tablets, both of which lose their viability within a year, tinctures are almost eternal. Trying different tinctures is also a good way to hone your taste buds, an ancient skill that often sifted the survivors from the less fortunate chaff. For fresh herbs, chop them up, lightly pack them into a jar until it’s full, and then pour in enough 100% proof alcohol to cover the herb completely. Seal your jar. For dried herbs, pack the same jar halfway and fill the rest with alcohol. Let the tinctures sit for at least six weeks, shaking them up from time to time and topping them off if needed. After six weeks, strain the colorful liquid from the spent herb, compost the remains, and pour your tincture in a labeled bottle. Done. Now is the perfect time to begin your apothecary. As your garden hits that last burst of fall energy and your local farmers market enters its final autumnal flourish, take a look at what is still growing and plan your cold-weather essentials. Here are AGB’s recommendations for some commonly found and highly potent medicinal herbs that will help you through these upcoming months. Dandelion - Despite its bad rap, dandelion is a fantastic medicine that is both tenaciously pervasive and very effective. Although both the leaves and root are medicinal, the roots are best collected in the fall when their inulin levels are the highest. Inulin is an essential prebiotic— it functions as a food for our intestinal flora, which helps digestion, aids in absorption of vital nutrients, regulates estrogen, and moderates the uptake of glucose, a crucial component that is very helpful for diabetes or anyone watching their blood sugar levels. Dandelion root is also a fantastic liver and skin remedy and has traditionally been used for arthritis. So when mid-January rolls around and you’re feeling that cold in your bones, dandelion tincture is a marvelous way to start the day. Tincture fresh or dry. 1-3 dropperfuls up to 3x a day. Lemon balm - This calming herb is another yummy medicine which seems to spring up everywhere, wanted or not. Used for fevers, indigestion, anxiety, depression, and sleeplessness, this gentle herb is ideal for helping to ease those wintertime blues and insomnia. This herb is also very safe and effective for children and, most amazing of all, has been found to drastically reduce herpes outbreaks. Cut back this perennial to your heart’s desire, it will return in full force next year. Tincture it fresh or dry and let yourself be comforted by this lovely herb. 1-2 dropperfuls up to 3x a day. Echinacea - Echinacea has become famous for its ability to stimulate and bolster the immune system, helping to fight and prevent the gamut of your wintertime colds and flu. What people don’t realize, however, is that the ornamental version of echinacea, often called purple coneflower, is the very same medicine found in expensive health food stores across the country. This plant is such powerful medicine that it is the only known compound that can counteract the poison of such lethal critters as brown recluses and rattlesnakes. Collect the flowering heads and tincture fresh or dry. 30-100 drops up to 3x a day. Rosemary - Ahh, rosemary. This beloved perennial can be found in most people’s gardens or homes and is a friend to many baking adventures. Rosemary has also been used as a hearty medicinal for thousands of years. This warming herb is a fabulous circulatory stimulant. It helps combat physical and mental fatigue, including depression, and is a powerful antibacterial and antiviral. Additionally, it can be used as an anti-inflammatory and antioxidant to help combat wintertime stagnation. This herb is also very helpful to diabetics and is a fabulous anticancer tonic. If you’re someone who experiences a vegetative type of sadness in the winter and has trouble getting your mind and body activated, try rosemary as a quick and comforting pick-me-up. ½ to one dropperful up to 3x day. Some great companies that sell herbs and tinctures are Mountain Rose Herbs, Pacific Botanicals and Herb Pharm.